One side is hook tape and the other side is the loop. 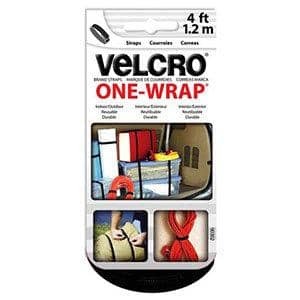 Simply wrap around your item and back onto itself - it's that simple! Strips are easily cut to any size or joined together to lengthen. Size: 3/4" x 36". Black.